Sea stars are usually found resting on rocks and coral, but you'll find this star right in the middle of the action! 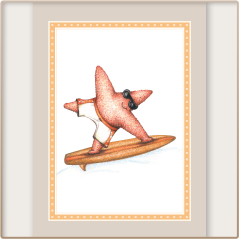 Bring home that surfer spirit with a pack of unique sea star notecards. Cowabunga!